Little Guardian Karate is for children ages 4 to 8. The youngest children start here and take just this one class until they learn the rules and basic movements. Then they can add Junior Guardian Karate at no additional charge. These classes meet Monday, Wednesday, and Friday at 3:55. 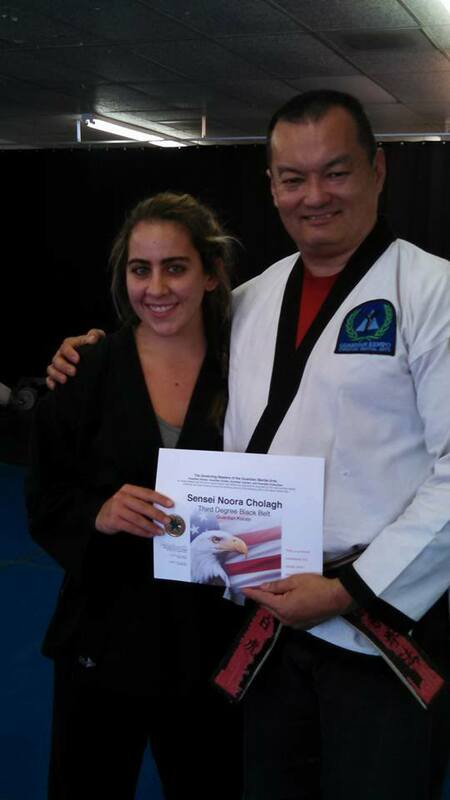 Students wear uniforms and White Belts, but they do not advance in rank in this class. Junior Guardian Karate is for children ages 6 to 9. 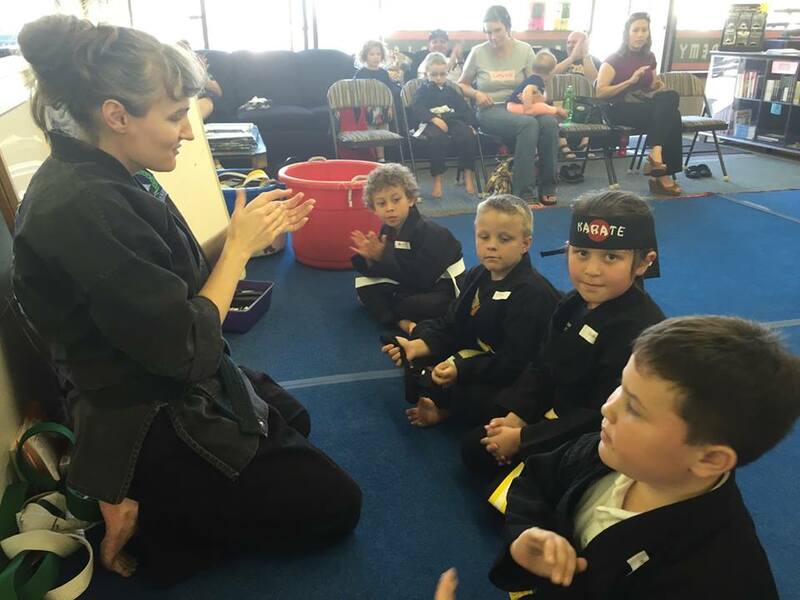 Younger children can advance to this class with some experience in Little Guardian Karate. 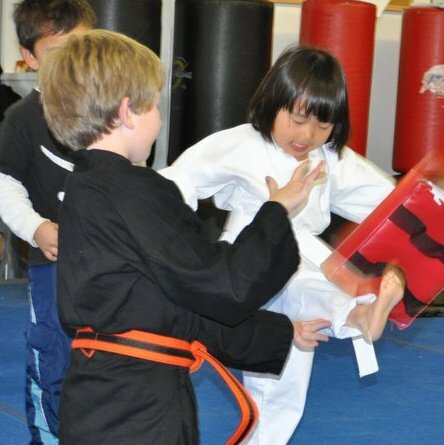 Most Junior Guardian Karate students attend both classes. These classes meet Monday, Wednesday, and Friday at 4:30. Students wear uniforms and belts in this class. This class has belt tests and students advance in rank to Junior Black Belt (roughly equal to a Purple Belt in the regular program). The children learn leadership early on. Even as new White Belts, they learn to lead skills and drills. Some of our kid leaders have returned to tell us about the adult leadership they are now doing using skills learned in kid classes at the Guardian Quest Dojo! Among our dynamic adult leaders is Noora Cholagh who started as karate kid here, and now leads her own program nearby at McGrath's YMCA. Yes, technically she's a competitor now, but a highly recommended one! Others have gone on to lead at their colleges and become leaders in business or the military. One young lady came back to visit to tell us that she had become a leader at college. Others remarked on her exceptional skill, and she said she didn't have the heart to tell them that the leadership skills her peers praised were learned in a kid's karate class! It's not just about karate, it's about personal growth. It's about teaching the children lessons we all wish we knew when we were kids!